﻿﻿﻿﻿Hello ... Hello ... my old friends ... It's great to see you once again! When Yours Truly KJS visited downtown Birmingham last month, it was easy to spot the Broad Street stars of Roy Wood and Bev Bevan. 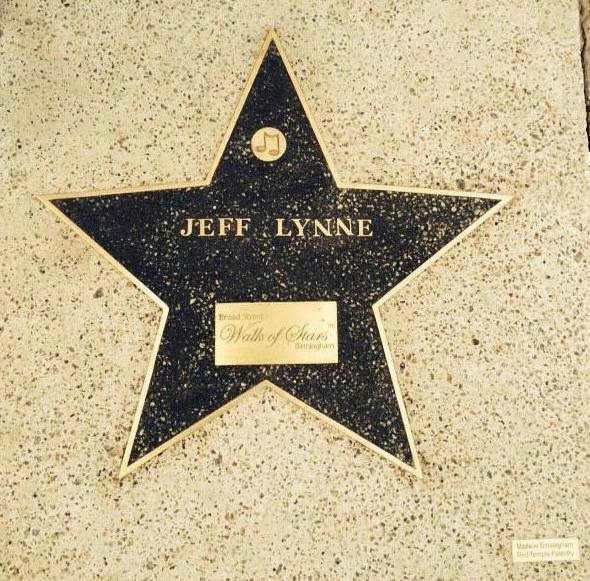 Unfortunately, I also discovered that the newly laid star awarded to Jeff Lynne back on Thursday 13th March was now hidden by a protective yellow plastic cover. 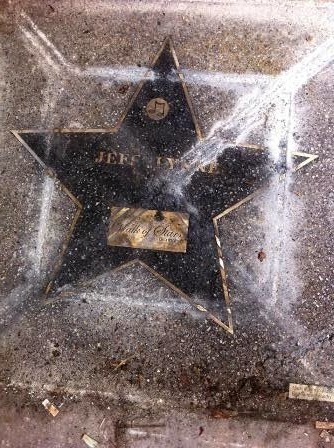 "Sadly, the star has been repeatedly vandalised by over enthusiastic fans. We placed the star in the ground aware that it was not fully cured, however with Jeff only being in the area for a short time slot, we were very keen that he should have sight if it. After the event, we immediately covered the star to allow it to cure fully. Yet fans kept removing the covering. This resulted in excessive damage. So much so in fact that it became beyond repair. Subsequently we commissioned a brand new star, this has been produced and is now cured. 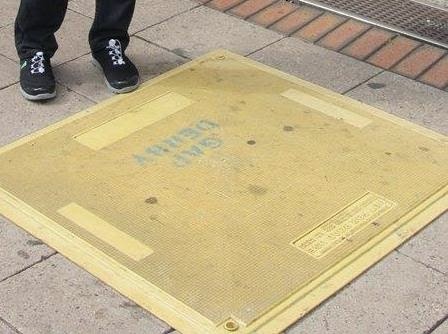 We will be fitting it shortly." ELO Beatles Forever [ELOBF] looks forward to returning "Down Home Town" to see Jeff's Broad Street Star in pristine condition adjacent to Birmingham Symphony Hall within the next month. Thanks Keith, keep the ELO fraternity informed of any developments.